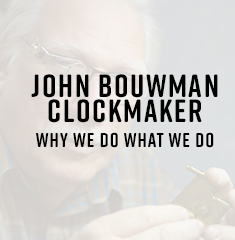 John Bouwman is a registered Horologist and Owner of the Clockmaker. 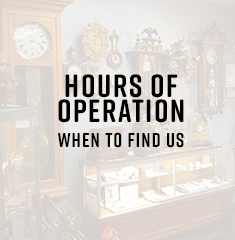 The Clockmaker buys, sells, repairs and restores antique & modern clocks and men’s and ladies watches. Some clock restoration work includes timekeepers that are over 300 years old. 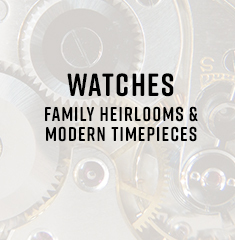 The Clockmaker’s intimate knowledge of timepieces helps bring value back to family heirlooms like cuckoo clocks and grandfather clocks which have been passed down from generation to generation. John Bouwman is a registered watchmaker by trade and can bring back to life that wristwatch that has been languishing in your top dresser drawer for years. 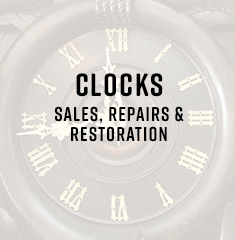 From repairs, service and restoration right through to the sale of new timepieces and everything in between, the Clockmaker has you covered.